The Asian Institute of Management (AIM) is an Asian pioneer in management education. The Institute was founded in 1968 by a consortium of prominent business leaders, Philippine academic institutions, and the Harvard Business School. AIM is the first school in Southeast Asia to receive accreditation from the US-based Association to Advance Collegiate Schools of Business (AACSB), globally recognized as having the world's highest standards. Throughout its history, the Institute has sought to empower students to thrive in challenging, rapidly shifting environments. It achieves this by encouraging a more considerate, effective, and sustainable approach to business in society. nurture and sustain a culture that rewards professionalism, creativity, and excellence. The Institute is alma mater to a majority of directors at the 25 most valuable listed companies in the country. It is also the most-preferred school* among 94 corporate directors interviewed by Forbes magazine. Since it was founded in 1968 by the Harvard Business School and academics as well as prominent business leaders of the Philippines, the Institute has been committed to contributing towards sustaining the growth of Asian businesses and societies by developing professional, entrepreneurial, and socially responsible managers and leaders. The Ford Foundation bestows a USD 1.2 million grant upon Ateneo de Manila University, De La Salle College, and the Philippine Inter-University Consortium. The grant is meant to kickstart the founding of a business school in Manila. The Eugenio López Foundation donates PHP 5 million for the construction of the main building, situated on a one-hectare site in Makati provided by the Ayala Corporation. AIM admits its first students to the Master in Business Management (later renamed Master in Business Administration) program. AIM opens its first non-degree programs: the Air Transport Course and the eight-week Management Development Program for senior and middle managers. AIM launches the one-year Master in Management (MM) program and short-term executive development programs. President Ferdinand Marcos signs Presidential Decree 639, formalizing AIM’s international character and granting it prerogatives conducive to its growth as an international graduate school of management. AIM introduces the Rural Development Management Program with funding from The Ford Foundation. The Master in Development Management (MDM) program is offered for the first time, with financial support from the Canadian International Development Agency. AIM and the Far East Bank and Trust Co. jointly launch the Gov. Jose B. Fernandez Jr. Center for Banking and Finance at AIM, in honor of the late Central Bank Governor. The AIM-W. SyCip Policy Forum (later renamed AIM Policy Center) is established. The United Nations Economic and Social Commission for Asia and the Pacific cites AIM as a Center for Excellence in human resource development research and training. AIM launches the Executive MBA (EMBA) program in Malaysia. It is the first AIM degree program to be offered outside the Philippines. The AIM Conference Center is inaugurated by President Fidel V. Ramos. The AIM-Ramon V. del Rosario Sr. Center for Corporate Social Responsibility is founded with support from the Ford Foundation and PHINMA. The institute launches the Master in Entrepreneurship program. The program will help shape a generation of entrepreneurs who are behind many of the Philippines’ well-loved and trusted brands. 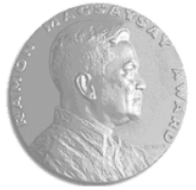 These include Mary Grace Dimacali, founder of Mary Grace Café; Eduardo Tuviera, CEO of Lightscape, Inc.; Raphael Juan of Centro; Rommel Juan of Binalot; Jose Magsaysay, Jr. of Potato Corner; and Rowena Matti of Galileo Enrichment Program. AIM names its graduate school of business in honor of its founder, Washington SyCip. AIM launches the Asian Corporate Social Responsibility Awards to honor corporations with the best corporate social responsibility (CSR) principles and practices. The AIM-Mirant Center for Bridging Societal Divides is inaugurated. The center is later renamed the TeaM Energy Center for Bridging Leadership. AIM becomes the first school in Southeast Asia to receive accreditation from the Association to Advance Collegiate Schools of Business (AACSB). AIM launches the redesigned 16-month MBA program. AIM opens the Ramon V. del Rosario Sr.-CV Starr Center for Corporate Governance. AIM starts offering the part-time Executive MBA program. AIM establishes the Dr. Andrew L. Tan Center for Tourism. Dr. Stephen Zuellig cements his partnership with AIM by giving a generous donation to the Center for Development Management (CDM). In his honor, CDM was renamed the Stephen Zuellig Graduate School of Development Management (ZSDM, or the Zuellig School). AIM launches the Master of Science in Innovation and Business for STEAM and reintroduces the Master in Entrepreneurship (ME) program. 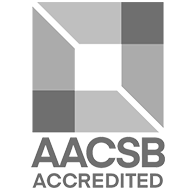 AIM is the first school in Southeast Asia to achieve accreditation from the US-based Association to Advance Collegiate Schools of Business (AACSB) based on the world’s highest international standards. 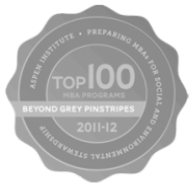 In 2001, AIM was honored with the 1st Beyond Grey Pinstripes Award for Business School Innovation in Social Impact Management.